One morning I was going to get my cup of coffee before work, I passed my barber shop and the owner Sal was standing outside. This was a highly unusual sight considering that his salon was busier than a doctor’s practice. I stopped to see how he was and found out that Sal was going on vacation for ten days and was not cutting hair for three weeks! This would mean that the whole business would be closed because Sal worked every position there, receptionist, secretary, barber, and proprietor! Everything about Sal is slightly old fashioned. The phone that Sal used until recently was old tech, it was one of the huge phones with coin slots and when it rang, no matter what he was doing, Sal would run and answer it. Sal does not use any computers in his parlor or home. His wife has a computer which he doesn’t know how to use nor care to learn. I have never even seen him use a cell phone. Usually people have to make an appointment with Sal a week to a month in advance, and if you try to make a last minute appointment and get in due to a cancellation, you feel like he did you a favor. It is harder to get an appointment with Sal than a specialist doctor. 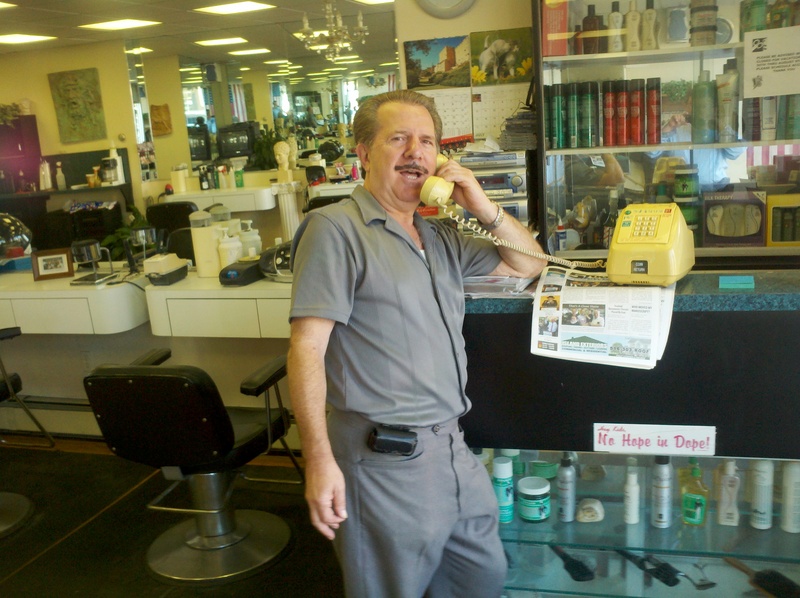 Sal knows his customers intimately, which seems like something of the past. Some even invite him to their children’s weddings. On this ten day vacation, he and his wife will truly be unplugging, and plan to not use any high tech. They are going to the “old country” and plan to take full advantage of being tech free!